This model is now updated with a new Keymod version, so the remaining 7″ handguards are available at a huge discount! Top rail aligns with your AR-15 flat-top upper receiver – your optics, iron sights, and other accessories will line up perfectly. 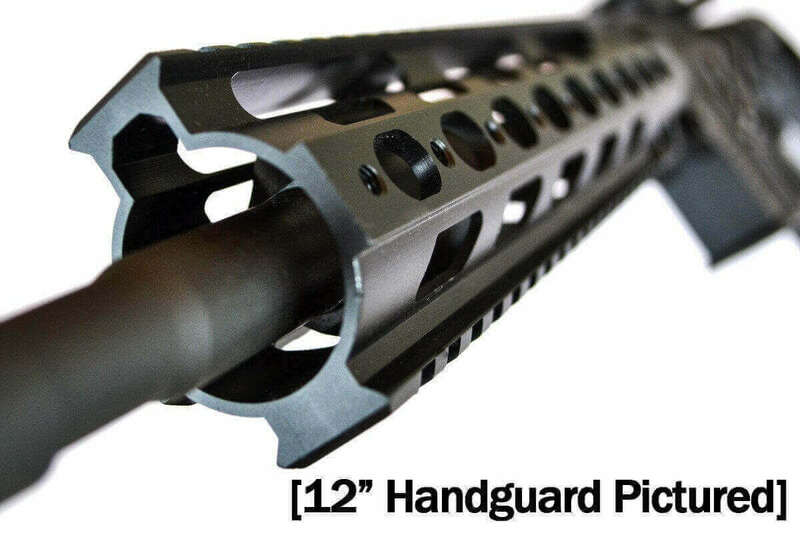 Unique slim design makes this handguard extremely light and easy to grip. The handguard clamps securely onto the steel barrel nut using steel mounting hardware to assure long-lasting durability. Precision milled MIL-STD-1913 (picatinny) rails on the continuous top rail and the individual rail segments. Hardcoat anodization provides a durable and attractive surface. AT3 Pro Series Handguards provide professional features at a better price than the competition.